The popular 1970s group, Super Tramp, turned down a five million dollar offer from the Greyhound corporation to use their song "Take The Long Way Home" in bus commercials. Rock and roll fakers Milli Vanilli had a problem during one of their "live" performances. Apparently, the tape-loop jammed and kept repeating the same line over and over again. The boys danced a few steps and then both bolted from the stage to fix the malfunctioning equipment. Cher was a background vocalist on the Righteous Brothers' "You've Lost That Lovin' Feeling". When Stu Cook and Doug Clifford reformed CCR as Creedence Clearwater Revisited in 1995, former band mate John Fogerty won a court injunction to prevent the use of the name and the live performance of CCR's hits. The pair toured as Cosmo's Factory until the injunction was overturned on appeal. Pat Boone spent a total of 21 weeks at the top of the Billboard Pop chart with six different number one hits spread out between 1955 and 1961. His daughter Debby had only one hit, "You Light Up My Life" in 1977, but it stayed number one for 10 straight weeks. "Beyond The Sea" by Bobby Darin was based on a song called "Le Mer", written by Louis Charles Augustin Georges Trenet in 1945. Bobby used the same melody, but the English words are not a translation of the original French lyrics. When United Artists was preparing to release Electric Light Orchestra's debut album, a company representative tried to place a call to someone connected with the band to find out what the LP should be titled. The caller, having failed to reach the desired party, jotted down the notation "no answer," a phrase which was mistaken for an album title and assigned to the U.S. version of the LP. In 1967, CBS-TV attempted to turn Led Zeppelin singer Robert Plant into the next Tom Jones. In fact, Plant recorded a lushly orchestrated Italian ballad called "Our Song." It actually sold over 800 copies. The longest title of an album that actually made the Billboard chart is by Fiona Apple. Made up of 90 words, the album is called - "When the Pawn Hits the Conflicts He Thinks Like a King What He Knows Throws the Blows When He Goes to the Fight and He'll Win the Whole Thing 'Fore He Enters the Ring There's No Body to Batter When Your Mind Is Your Might So When You Go Solo, You Hold Your Own Hand and Remember That Depth Is the Greatest of Heights and If You Know Where You Stand, Then You Know Where to Land and If You Fall It Won't Matter, Cuz You'll Know That You're Right"
The motel that was the scene of Janis Joplin's death in 1970 was right across the street from where Bobby Fuller died in 1966. 1950s crooner, Pat Boone is the great, great, great, great grandson of American frontier hero Daniel Boone. Led Zeppelin founder Jimmy Page played as a session guitarist on Tom Jones' 1965 hit, "It's Not Unusual". The world's first jukebox was installed at the Palais Royal Hotel in San Francisco on November 23rd, 1899. At a nickel per play, the machine earned nearly $1000 during the first six months of operation. While upset about a girl who had just left him, Joe Rock wrote most of the lyrics to The Skyliners 1959 number one hit, "Since I Don't Have You", while sitting in his car between stoplights. In 1931, George Beauchamp and Adolph Rickenbacker designed and built the world's first electric guitar. Because of its odd shape, it was nicknamed 'Rickenbacker's Frying Pan'. The pair were granted a patent for their invention in 1937. 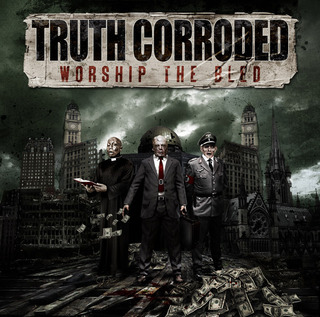 Australian extreme thrash metal band TRUTH CORRODED have revealed the cover art for the band’s upcoming album, 'Worship The Bled.' The artwork for the album was designed by Bjoern Goosses of Killustrations who has worked with bands such as DEW-SCENTED, ZYKLON, SODOM, NORTHER, ABORTED, ONE MAN ARMY. Commenting on the album cover, Truth Corroded bass guitarist Greg Shaw states, "Killustrations have created some incredible album covers, and we really felt that Bjoern could capture the imagery we were looking for. The artwork conveys the message behind the album title - how the worship of monotheistic religion, political and economic ideologies and the waging of war have bled modern civilization. We gave Killustrations the idea and that was the image created - it is confronting and communicates the title of the album". 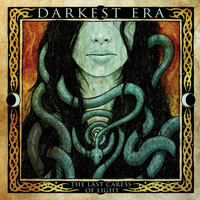 DARKEST ERA, the heavy metal band based in Northern Ireland, has completed work on its new album, 'The Last Caress Of Light,' for a February 15, 2011 release on Metal Blade Records. Commented vocalist Krum: "The album is a work of dark, stormy, epic heavy metal that we are proud to release upon the world. Chris Fielding did a fantastic job in capturing the Celtic atmosphere of our songs while bringing out our heavy metal influences from bands like Warlord. We are very excited about it." Germany’s melodic-death metallers Deadlock are set to release their latest offering, 'Bizarro World' (Lifeforce Records) on February 28th 2011. Today, they preview the album art for the standard version. The deluxe package will include two remixes as bonus tracks. This is the band’s fifth studio effort and the first with new bassist John Gahlert, who joined in May 2009. Norwegian gothic-doom metallers TO CAST A SHADOW have revealed the cover artwork for their forthcoming sophomore album, 'In Memory Of.' 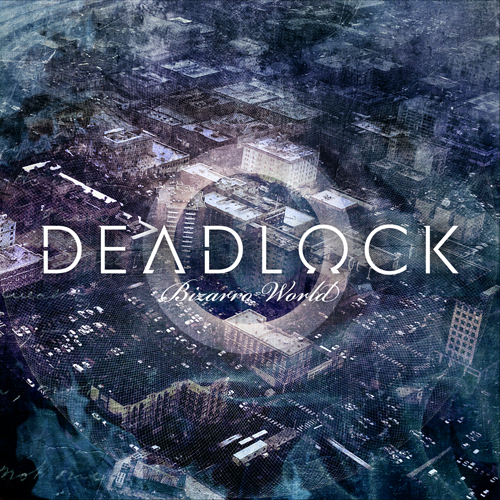 The artwork is the brain child of Matthew Vickerstaff of Darkwave Art (MY DYING BRIDE, CRADLE OF FILTH). The album will be released on February 14, 2011 in UK (February 18 in the rest of Europe) by Kolony Records. The CD was recorded at Hamar Recordings in Norway with producer Kristian Sigland (THE CREST, THEATRE OF TRAGEDY) and was mastered at Leon Music Studio in Sweden by Rikard Lofgren. 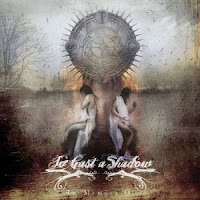 “In Memory Of” features a guest appearance by THEATRE OF TRAGEDY‘s lead singer Nell Sigland in the song “Betula”. The Decemberists released an exclusive limited edition 7" vinyl single today in conjunction with Record Store Day organizers. The 7" single will feature the track "January Hymn" from their forthcoming album 'The King Is Dead,' and on the b-side, a cover of the Grateful Dead's "Row Jimmy. " The King Is Dead will be released January 18 on EMI's Capitol Records in the U.S., and January 17 on Rough Trade Records in the UK and Europe. For a list of participating stores where the single will be available please visit www.recordstoreday.com/Venues . According to Gibson.com after delivering a fantastic run of acclaimed shows earlier this year, the "Big Four" will be back together in 2011. Metallica, Slayer, Megadeth and Anthrax, nicknamed the "Big Four" of thrash metal, will headline the first night of next summer's U.K. Sonisphere Festival on July 8. "As soon as the 'Big Four' gigs started rolling across Sonisphere festivals in Eastern Europe last summer, we all felt we were part of something special," Metallica drummer Lars Ulrich said in a statement. "The vibe within the bands was more than anyone had anticipated and the vibe with the fans was so next level, it completely blew our minds... there was no way this should not happen again!!! So I am beyond psyched that the first 'Big Four' show in Western Europe will take place on the hallowed grounds of Knebworth, where so many unique and special gigs have happened over the years." Members of the other bands also weighed in on the news. Slayer's Kerry King: "Always excited to do 'Big Four' shows. Now England is in line to be devastated by this heavy metal powerhouse!" Megadeth's Dave Mustaine: "The 'Big Four' concerts are the most important, most exciting event to happen in the history of live concerts in our genre, and perhaps the entire music industry. I am glad to be a part of this enormous celebration of thrash, speed, and good ole heavy metal!" Anthrax's Scott Ian: "Merry early Xmas present for us... more 'Big Four' shows!!! The shows we did together with our brothers in Metallica, Slayer and Megadeth were not only the high point of 2010, but also some of the best shows Anthrax have ever played. Getting to share this with our friends in the U.K. will be amazing." It’s not clear yet if this will be a one-off event for 2011, or if the four bands plan to share a bill for more dates, or even a full tour.